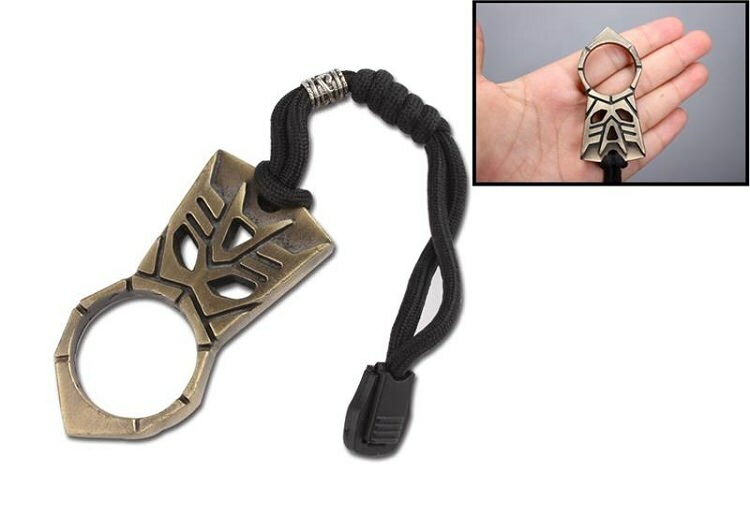 A self defense jabber, a bottle opener, a key chain and a survivalist tool, all in one. This is the Paracord Skull, our newest keychain self defense tool and the latest item soon to take the internet by storm. This jabber is forged from solid stainless steel and is heavy duty. Stick your middle finger inside of the death hole and hold the jabber in between your index and ring finger. Jab holding the top of the skull head in your palm and punch with the comfort of the soft paracord rope guarding your hand. The paracord is also very strong and doubles as great survival rope when in an emergency situation in the wilderness or in the street.